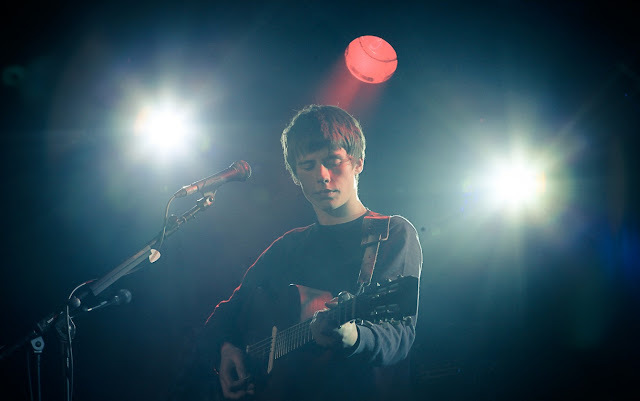 Listening to Jake Bugg sometimes feels like listening to a 21st century teenager who stumbled upon a time machine and decided that he wanted to do nothing more than to go back to the 60's to record music. Modern references sometimes clash with the stripped down musical backing, and although you might feel that the 18 year old hasn't lived enough to make an album of folksy rock tunes, Jake speaks about what he knows. On his self-titled debut, Bugg at times struggles to maintain consistency throughout the 14 short tracks (most of which clock in at a very retro 3 minutes or less), but shows enough promise that you keep listening and are left with the feeling that only special things will come from the young Brit. "Simple as This" and "Country Song" are great tracks to get to know his musical stylings and are standout tracks on an album whose inconsistency is far outweighed by true talent and a committed dedication to the British tradition of storytelling.